Get inspired to organize your shelves with these fun bookshelf ideas! 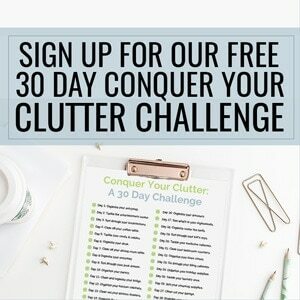 Learn different ways you can organize books and decorate to enhance your living room, bedroom, or home office. If you’re looking for a way to bring new life to a room, consider organizing with these bookshelf ideas. Bookshelves are a popular fixture in homes everywhere. In many cases, they don’t make much of a statement. However, with a little effort and creativity, you can transform your bookshelf into a bold statement piece for any space in your home. Whether you’re looking to spruce up the bookshelf in your living room, organize a bookshelf in your bedroom, or find bookshelf ideas for your home office, you’ll find plenty of inspiration here! 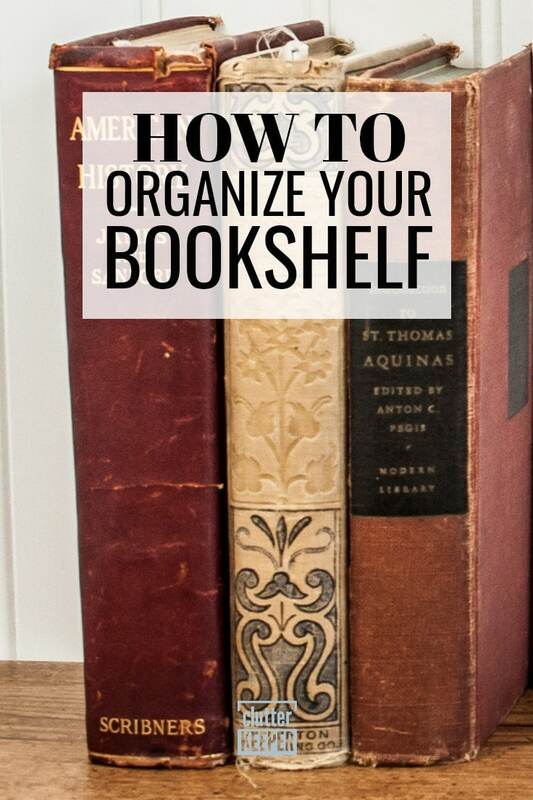 When it comes to organizing your bookshelf, there should be some method to the madness. Unless your personal library is very limited, it’s a good idea to make it easy to find the books. You just need to embrace some kind of organizational system. Fortunately, you have plenty of options when it comes to arranging your books. It’s up to you to figure out what bookshelf ideas work best! 1. Organize your bookshelf by color. If you’ve spent any time looking for bookshelf organization inspiration on Pinterest, you’ve probably seen a bookshelf or two organized by color. By arranging the books on your bookshelf by the color of their covers, you can create a fun, visual focal point for your room. This is especially effective when your personal library consists of lots of colorful titles. 2. Organize your bookshelf by author. Another easy way to organize your bookshelf? Sort your books by author. This can be especially fun if you favor a handful of authors. This way you’ll be able to keep their collections together and add to them when a new book is released. 3. Organize your bookshelf by title. Sorting your bookshelf based on title is intuitive. It’s also an easy way to bring some order to your personal library and stay organized at the same time. Whether you choose to file books beginning with “The” in the T section or sort them based on the first letter of the second word in their title, stick with whatever you decide. 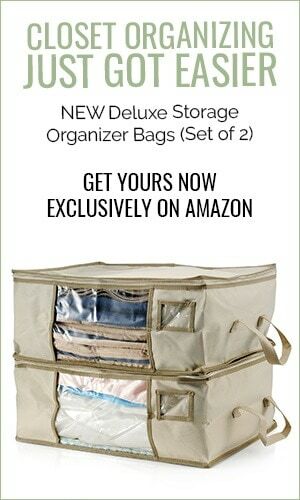 Otherwise, you’ll wind up with a disorganized bookshelf in record time. 4. Organize your bookshelf by subject. Some people love to read books centered around specific topics, or stories that fall within a certain genre. If that’s you, consider grouping the books on your bookshelf by genre or subject. By separating your true crime titles from your self help books, you’ll be able to easily browse for something in your preferred genre when you’re ready to wind down for the evening. 5. Organize your bookshelf by personal preference. It’s your bookshelf, you can do what you want to! Keep your favorite books in a place where they’re easily accessible. Then put the ones you won’t revisit for a while on the higher shelves. Stack your favorites horizontally or display their covers prominently to call even more attention to the books you love most. 6. Take a minimalist approach. This works well for anyone who doesn’t have a ton of books, or anyone who simply doesn’t like the look of a cramped bookshelf. Limit yourself to only storing a select few books on each shelf, leaving plenty of extra space. 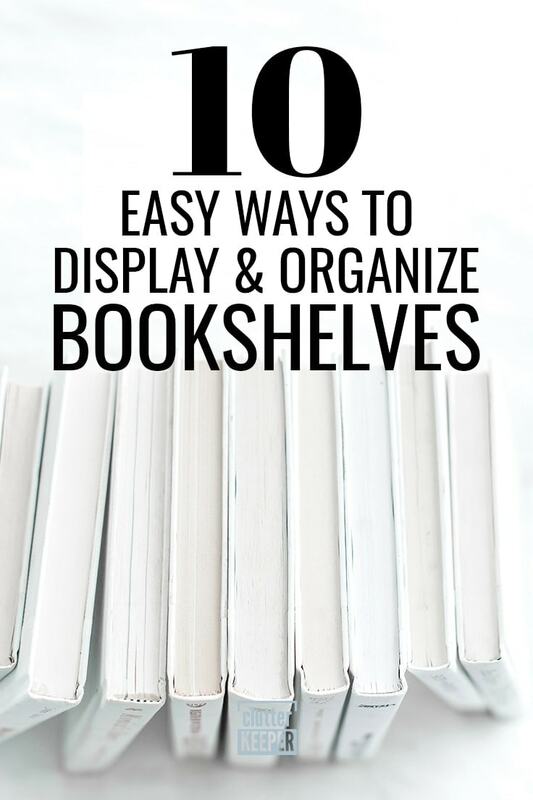 Let your favorite books stand with their covers facing out (instead of their spines) and incorporate some fun decorative pieces to transform your bookshelf into a true piece of home decor. 7. Use bookshelf bins to fill space and contain clutter. If you don’t have enough books to fill up a bookshelf, a great way to use up some space and help keep your home organized is to fill the bottom shelf with storage bins. Some bookshelves are designed specifically to hold storage bins at the bottom, but if yours isn’t, simply measure your shelf and purchase bins that will fit your space. Spare throw blankets and pillows for your living room. 8. Don’t be afraid to incorporate a few knick-knacks. While you shouldn’t go out of your way to make your bookshelf look cluttered, adding some decorative sculptures, bowls, figurines, and other odds and ends can add an interesting and unexpected visual element to your bookshelf. You can embrace a theme, like displaying souvenirs you collect on your travels, or simply fill your bookshelf with things you like. Discount home goods stores, like T.J.Maxx and Ross. Local thrift stores – look for ones with a focus on furniture and decor. 9. Bring your bookshelf to life with a couple of plants! If your bookshelf is positioned to receive plenty of sunlight, adding a plant can be an easy way to fill empty space and add an interesting splash of color and life to your room. Fill half of a shelf with books and place a small potted plant on the other side, or dedicate a whole shelf to a small collection of succulents. 10. Find space for a picture or two. For an easy way to add a personal touch to your bookcase, find room to place a picture of your spouse, your children, your pets, a favorite snapshot from a recent vacation, a motivational quote, or something else you love. Use an interesting frame to add an exciting visual element. When it comes to bookshelf organization, there’s no right or wrong way to do it. There are lots of different ways to bring order to your personal library and transform your bookshelf from a boring piece of furniture to an exciting visual highlight in any room of your home. Leave a comment and share which approach to bookshelf organization makes the most sense to you! How to Double Any Space with Effective Home Organization Solutions – Maximize storage space in your home office (or anywhere else in your house) with these clever storage ideas. 10 Simple Ways to Reduce Paper Clutter Today – If your bookshelves are used to store old paperwork and binders of personal documents, this article is filled with tips to help you! 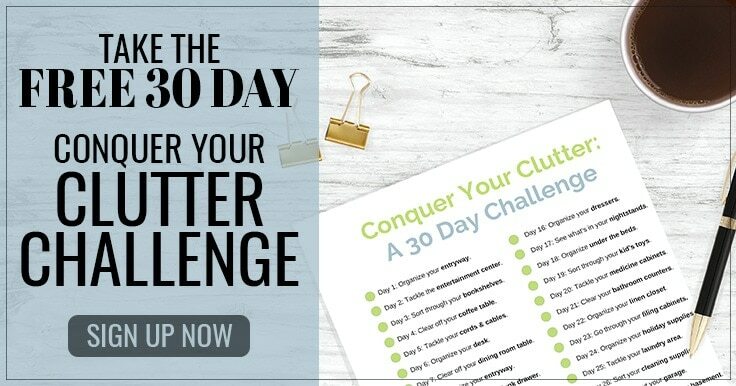 Home Office Organization: Your Complete Guide – Creating a space – no matter the size – to work from home can dramatically improve your efficiency. This is everything you need to know for setting up a productive and useful home office.